In September 1993, the 39th Airborne Brigade was reformed in the 80th Separate Airmobile Regiment. November 25, 2013: the 80th Airmobile Brigade was formed. 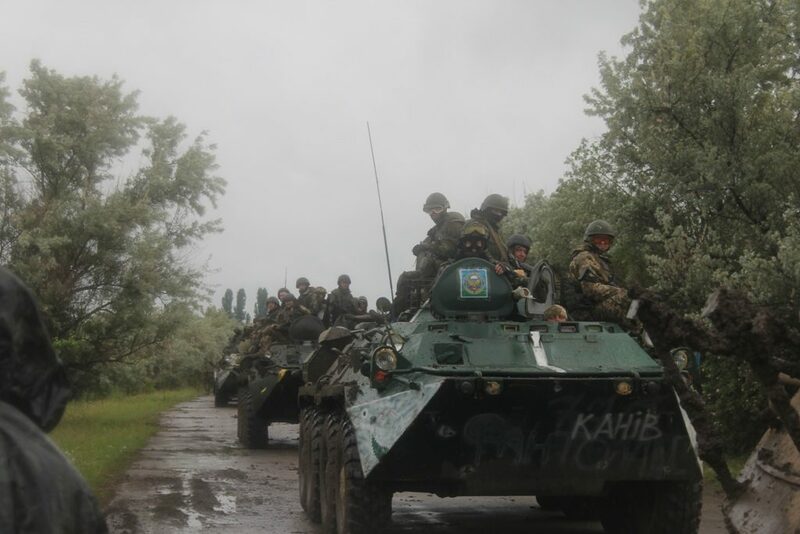 June – July 2014: Liberation of Sloviansk. May – September 3, 2014: Defense of the Luhansk airport. June – September 2014: Battles with Russia-backed militants outside Luhansk and Shchastya. June – August 2014: Operation on restoring control over the Ukrainian-Russian border in the Donetsk and Luhansk regions (sector D). Since the beginning of the Anti-Terrorist Operation (ATO) in eastern Ukraine, Lviv paratroopers were performing one of the most critically important tasks – they took control of the Luhansk airport, preventing Russia-backed militants from getting there first. The heroic history of defense of the airport lasted for more than three months. Only at the end of last summer, after a large-scale Russian invasion and when the Ukrainian paratroopers came at risk of being besieged, the 80th Airmobile Brigade left completely destroyed territory of the airport.